Cal Poly has a time machine that can travel back to 1850. There are no wires, buttons or LED displays, only shelves and shelves full of dried plants, known as the Robert F. Hoover Herbarium. The herbarium contains information crucial to assessing the impact of climate change on California’s plants, as do similar collections around the state. 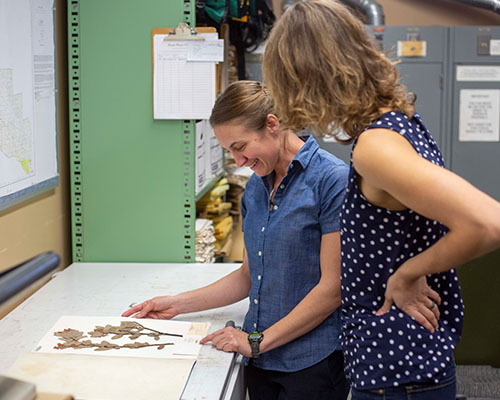 To move the data out of herbarium cabinets and make it accessible to researchers and citizen scientists alike, biology Professor Jenn Yost is leading a statewide effort to digitize images and life-cycle history of the Golden State’s flowers. With a $1.8 million grant from the National Science Foundation, Yost leads a team of student and faculty researchers from 11 CSU campuses, six University of California campuses — including UCSB and UC Berkeley — and multiple public botanical gardens and museums to form the California Phenology Thematic Collection Network (CAP TCN). To measure the effects of climate change on plants, scientists need to know how different species behaved in the past. When did they flower? How widespread were they? 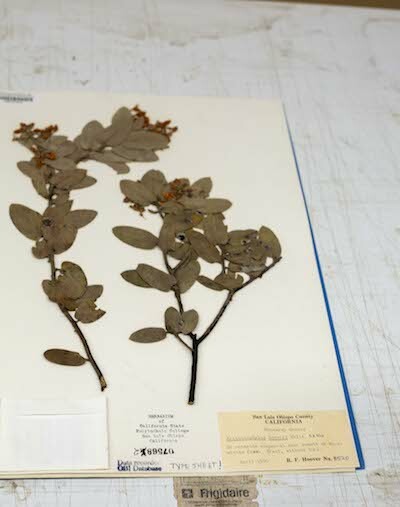 To answer these questions, the CAP TCN will create images and digital records of nearly one million herbarium specimens from 22 California collections. Each digital record will contain data such as collection date and location, whether the specimen was flowering or fruiting, and a high-resolution image. Scientists have found that flowering and fruiting times for many plants have shifted due to climate change. Herbarium specimens are critical sources of the data that has led to these discoveries. The CAP TCN will generate a large dataset on flowering times, which will allow scientists to examine potential shifts in California, the most biodiverse state in the U.S. All specimen data and images will be publicly accessible in an online database for use in research, education, and outreach. “This project will create a 200-year-old record of flowering times for California plants,” Yost said. 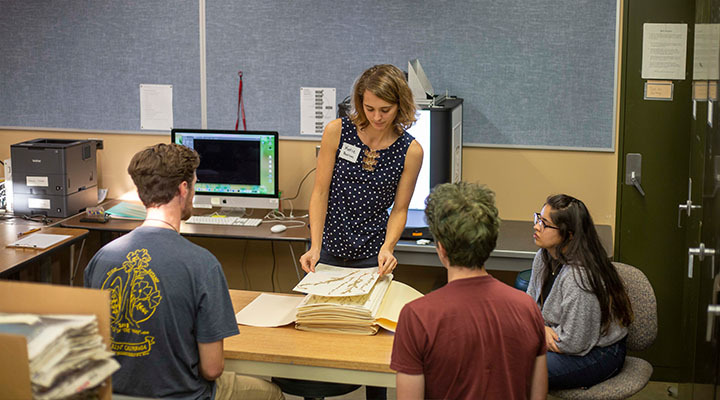 Cal Poly students and their counterparts at other universities will play a key role in the project while getting hands-on training in natural history collections. Each student researcher will adopt a genus and personally shepherd it through the digitization process. They will see every species in the genus, a powerful tool for understanding plant diversity, ecology, and evolution. As they become experts in a certain genus, students will also help make predictions of which plants are more at risk due to climate change. For example, plants with more limited distribution or shorter flowering windows have a higher risk of extinction. Once scientists know which species those are, government agencies can target conservation funding toward the species that need it most. The information on changing flowering times is also crucial to the $50 billion California agricultural industry. “If the almonds flower earlier than when the bees are around, you don't have almonds in California,” Yost said. Gardening enthusiasts will make important contributions to the project as citizen scientists. Through online access to the herbarium database and a number of public events, they will help digitize data such as flowering times and specimen location. This large-scale collaboration will continue for the next four years. The results will help answer fundamental questions about life in the 21st century. Those interested in helping with the digitization project can contact Katie Pearson, kdpearso@calpoly.edu.